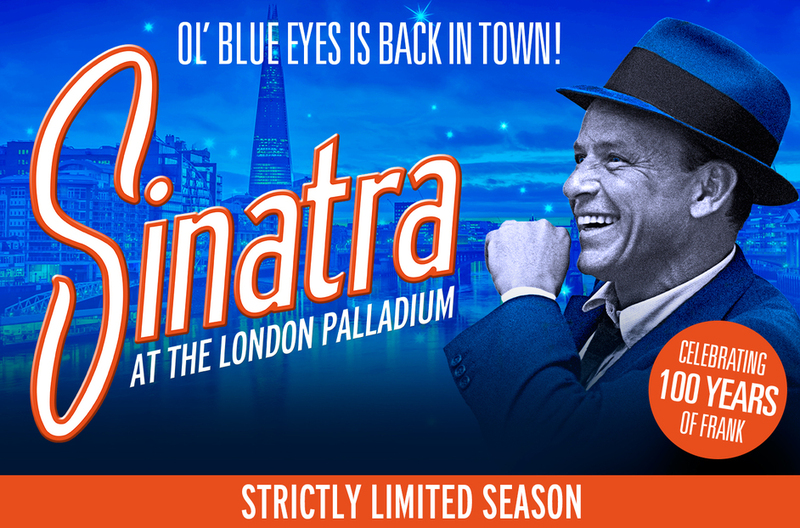 We have special offers available on tickets for Sinatra at The London Palladium. A centenary celebration of ol' Blue Eyes, this multimedia concert marks 100 years since Frank Sinatra's birth. Rare and never before seen footage of the legendary singer and actor is screened while a 24-piece orchestra plays many of his greatest hits including 'Come Fly With Me', 'Fly Me To The Moon', 'New York, New York' and 'My Way'. The show incorporates live dancing on the London Palladium stage, the very place where Sinatra made his UK debut 65 years ago. What are the best dining options near Sinatra at The London Palladium London? Sinatra at The London Palladium gyms, sporting activities, health & beauty and fitness. The best pubs near London Sinatra at The London Palladium. Sinatra at The London Palladium clubs, bars, cabaret nights, casinos and interesting nightlife. Where to have your meeting, conference, exhibition, private dining or training course near Sinatra at The London Palladium. From cheap budget places to stay to luxury 5 star hotels see our special offers for London Palladium hotels, including No 5 Maddox Street London from 75% off.